Africa’s leading producer of wines and spirits. Distell Group has its headquarters in Stellenbosch, South Africa, and produces and retails a wide range of spirits, notably brandies, along with holding a substantial portfolio of wine brands. In terms of Scotch whisky, Distell owns Burn Stewart Distillers. Overall the Group employs nearly 5,000 people and has an annual turnover of R15.9 billion (£821.9m). Some of the wines in the Distell portfolio – such as Stellenzicht and Neethlingshof – have their origins in the late 17th century, when many French Huguenots settled at the Cape, fleeing religious persecution in their native France. Others were established later by French, Dutch and Italian immigrants. Similarly, many of the firm’s brandies have their roots in the British occupation of the Cape during the late 18th century. Distell was created in 2000 by the merger of Stellenbosch Farmers' Winery (SFW) and Distillers Corporation. SFW was established in 1925 by US doctor William Charles Winshaw, who remained managing director of the company until his retirement in 1962, aged 92! As well as having major wine interests, as the name implies, SFW was also instrumental in developing the production and sale of cider in South Africa. Distillers Corporation was founded 20 years after SFW by leading South African businessman Dr Anton Rupert. He was responsible for instigating the ‘Bergkelder concept,’ whereby independent wine estates utilised the Corporation’s bottling, sales and marketing operations, and also for focusing on the production of spirits, particularly brandy. Distillers Corporation can claim credit for raising South African brandy from relative obscurity to a high-profile drink. 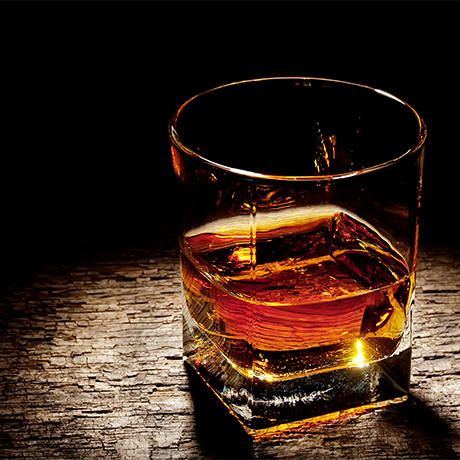 However, in recent years, brandy sales have fallen as more South Africans have discovered Scotch whisky. This probably explains why Distell was eager to purchase the Scotch whisky business of Burn Stewart Distillers in 2013. In addition to its Scotch whisky business, Distell is also the largest producer of South African whisky from its James Sedgwick distillery in Wellington. Its leading brands include Bain’s Cape Mountain single grain whisky, and Three Ships single malt.